SO THE 2019 FEDERAL budget came down this week. Same time it does every year as the Federal fiscal year is March 31 to April 1. But … wait … the routine of a budget speech by the Minister of Finance where the most photo-op moment of decades past used to be the colour of the new shoes bought on budget day. This year any form of civility or routine was completely upended by an unprecedented furor. 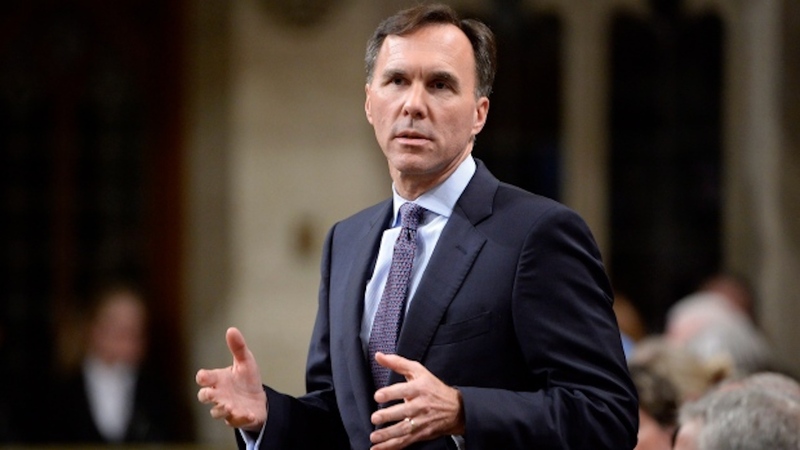 As Bill Morneau rose to begin the annual aggrandising plethora of financial self-shoulder patting, the Conservatives across the aisle began hooting, hollering and desk banking. This is what we saw on our television and computer screens; Morneau mouthing something or other, the interpreter having to drop out apologizing for not being able to hear the speech, and all we heard from off-screen was a large daycare full of oversized toddlers, enjoying a freeform hoot and drum session. As we know by now, the Conservative party had this very well planned out and were doing this as a way to replace the news feed focus on the budget and attempt to plant it directly on the ongoing SNC Lavalin affair and the latest Committee act of shutting it down. Did the Conservative Party succeed at their plan? No. Their entire approach of responding to a minor Liberal inter cabinet squabble, as the most important corruption controversy and coverup ever perpetrated on the Canadian people is at best just hyperbolic political rancour, and at worst simple sweaty desperation to find something … anything … they can get press time on, in the six- month lead-up to an election. Then 24 hours later they continued on the rampage via Parliamentary filibuster and forcing a marathon mission of challenging every single line in the budget to an actual physical vote. Let’s not split hairs here, this actually means that Conservatives actually voted against every line of the budget. They actively voted to defund the Canadian Human Rights Commission, defund the RCMP, defund Fisheries and Oceans, defund investments in food safety, cut $310m from the National Security budget, cut $561m from National Defence, cut $562m from Corrections Canada, and over 200 other individual points and funding continuances and initiatives. Even though this event is being explained to us as a political ploy or even rebellion, what it fundamentally ended up being about was the Conservatives actually voting to cancel all the items that make our country what it is. As if they disagreed with the RCMP as a whole. Just like proroguing of Parliament, the Conservatives again abuse the tools of the House for political expedience. During all this, cots were set up in the halls; chocolatebargate could become a hashtag. The point was to make the Liberals sit in the house and vote down every challenge. The goal was to try to kick the LNC affair to a stratospheric level of awareness. They are trying to tell us that it’s an important issue. Is it? Really? Let’s look at it without the pressure or the lingo of the opposition. While there are general polling numbers shifting away from Trudeau, Canadians fully understand that nothing illegal happened, so in the end no one (other than conservatives) really care. It’s a staffing issue. It’s an office vs the boss disagreement. We did not vote Wilson Rayboult or Philpott into Cabinet offices, we voted them into their ridings. The rest is up to the PM office. Staff come and go in every office, Cabinet shuffles are usually not even newsworthy, behind-closed-doors Armageddons are a potential reality in every workplace. Do we really expect a politically motivated partisan office to be any different? Stuff went down. People got shuffled. Usually, we turn off the news and eat dinner. There have been cabinet ministers brought before committee before, complaints have been dropped on coworkers and PMs before. There is no precedent here even if the Conservatives say it’s a first; it isn’t. There is only one question that matters: Was a law broken? If a law was broken, it would be a different deal. Heads should roll and elections be called. From the lips of Wilson-Raybould herself, who was the top lawyer in Canada … so she would know … nothing illegal happened. If we take her at her word (and it sounds like all of Canada, including myself, appreciate that this lady has integrity and we should take her at her word), then why are we still talking about this? If he broke the law, charge him. If he acted inappropriately, sue him. She chose to quit, that was her choice. I have no problem with choices she has made. If it’s a moral or ethics treatment issue, let me remind you of how Harper treated his ministers and other employees. It was so bad, Rona Ambrose, temp leader of the Conservative party, said at the National Press dinner “It’s ok … the bad man has gone away.” It was said in jest, but it wouldn’t have been funny if there wasn’t a lot of truth in it. We all laughed. If it was a real ethics issue, there’s an office for that type of investigation and its work is being done as we speak. Results will come via the proper channels. So, I ask again, why are we still talking about SNC Lavalin? Because it is being rammed down our throats by the Conservatives, and their agenda is everything to do with themselves and the election, not Canada, or how the government purports itself. This is the most self-serving act I have had the displeasure to see from any Canadian political party, at any level. Trump himself would be watching all this from afar and tweeting “nicely done, Andy.” It’s that obvious. Now don’t get me wrong, I will be the first to back up and change my mind if Philpott or Wilson-Raybould are given the opportunity to tell us all some kind of a story of Trump style Trudeau debauchery like naked pinups on his office walls or crack smoking in the bell tower, and this becomes a sewer level moral issue … but until regarding SNC … with what we know right now, no law was broken by the PM’s office. Whatever story those two have, it won’t be a legal one. With the continuous news flowing from the U.S., involving literally dozens of Trump stories of actual true debauchery, fraud, embezzlement, corruption and election rigging involving Russians … whatever two ex-ministers have to say will pale in comparison, in every way. Way off in Ottawa on Thursday, Conservatives are trying to defund air traffic controllers to get our attention and keep us from sitting down to dinner … how’s that working out at your house? Lasagna? I’ll bring the beer. How ‘bout them Blazers? We have collectively moved on. In Kamloops, we are far more invested to hear that Blackwell Dairy is up and running … darn good chocolate milk. Beyond that, we have more important things to truly worry about … like the actual federal budget, housing, childcare, lack of doctors, pharmacare and taxes. A Quebec industrial giant, and a staffing issue in offices we expect to have issues, isn’t too far up our ladder. And we aren’t alone, across the country people are dialing out on all this. What will historically be known as the SNC Lavalin Affair is already relegated to a happening aka tabloid fodder. We now tsk our first finger at Trudeau for being a jerk, just as a few short years ago we knew exactly how much of a jerk Harper was. We didn’t tear the country apart when he was held in contempt of Parliament, which is actually against the law. Let’s go back to budget day on Tuesday for a bit. Do we get a comprehensive Conservative opposition step by step response of the budget? No. After Andrew Scheer led the Conservatives (very ceremoniously) out of the House, he immediately hit the press scrum and spouted that this budget will cost an extra $41 billion, which is a blatant lie … it’s an additional $22.8 billion. He did not bother to add that the annual Federal Budget is north of $330 billion. He shies away from adding details that makes his financial argument appear small or insignificant. Scheer even said aloud that the Liberal government was trying to deflect attention from the corruption scandal BY ACTUALLY putting out a budget. Did I mention that the budget always comes out this time of year? Scheer was directly pandering to their base that in fact this SNC / lasagna chilling event is a government ending, PM resignation required, corruption disaster. Even the press laughs at that one. This approach is a Trumpian quality lie that they are trying to put past the Canadian public. But that’s not new. Those old enough have watched the Conservative party move from its judicious economic policy and somewhat square social policy roots, and seen it become something quite different. The Conservative party of the last decade or so lies. It lies about what it’s doing when it’s in power, and lies about what others are doing when not. Yes, all politicians lie, but Conservatives do it with such dedicated, absolute unabashed, outlandish conviction and won’t back down even when proven wrong. They learned that a lie will travel a thousand miles before the truth even gets up for breakfast, which means it’s effective as an actual platform. Unfortunately for the Conservatives, Canada is living in a strong economy based on an insanely low our Debt to GDP ratio is, which is expected to continue on a downward trend for not just future quarters, but a few years. Double that with record low unemployment, add to that federal revenue coffers are up and polish it off with Canadians having a bit more cash in their pockets … what do you end up with? Reputable economic think-tanks across the country all agree that this is the kind of economy you can moderately spend on … moderately. The Liberal government has taken this much further, but that’s for another article. What do you usually do as an opposition party? You pick apart policies and programs of the government and suggest that there is a different approach. This also means is that an opposition Conservative Party has a problem. It doesn’t have much to go into an election on when the Liberal economic plan is beginning to bear fruit. They cannot argue the usual rancor of the ‘failed government policies’ … no one will believe them. We expect them to complain about deficit spending, we won’t even hear them do that. They needed something else. The SNC Lavalin affair is the egg they needed. What Andrew Scheer is desperately trying to find is air, any kind of air, and its showing as desperate in the way he is using this issue. They also could use some pretty severe deflection from the fact that they have no real platform heading into an election. In the end we know very, very little about their own economic or social program platform. Just what do they plan to do? How right wing extreme will they go without a platform to hold them back? Any party who does not have a comprehensive and well-known platform, has nothing to explain, should they get into power. They will be free to create whatever kind of state they want. This appears to be the Conservative Party of Canada’s stealthy approach to the next election. This should be concerning to all of us. 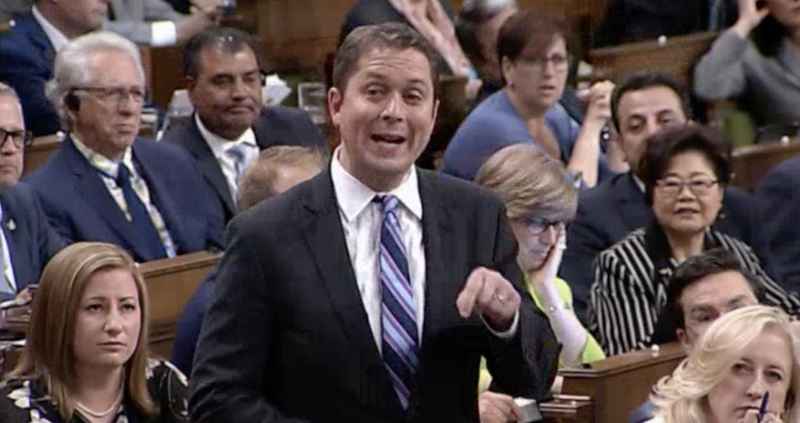 While I’m still on that budget-day media scrum moment, something I noticed; Scheer has picked up the habit recently of staring right down the lens of the news camera when he speaks … and he doesn’t blink. This isn’t a fireside chat where he could be ‘talking to me,’ it’s a press scrum and there are other people in the room to look at. Well-versed politicians … or any public speaker, knows to talk directly to the person asking the question, as if the camera was not there. He has been very poorly preened to do this, as if he’s been told to talk directly to his base. Even in short bit news highlights, it’s frenetic and downright creepy. His behaviour of late also sets flags waving. A month back he jammed himself into that truck rally, as a press opportunity. On the surface, it seemed like a good idea. Who in his office missed that the generally happy but seriously disgruntled truckers that were focussed on jobs, had been infiltrated by the racist yellow vest crowd. That did not play well to any Canadians except for the extreme Conservative base. Then he followed up with Pizzagate and then topped it off by not properly labeling the travesty that happened in New Zealand … and we realize what we’ve got here is a guy that is so much farther right than even Harper ever imagined himself. Bernier must have been impressed. Add all that to a secret platform, and yes … Canadians should be paying attention. So, all that said, did this daycare behaviour in the House work for Scheer? No, not really. Yes, there was a day or two of news on the hollering and banging from all news outlets, but by day three it wasn’t mentioned and all media sources turned their focus on the actual budget and have begun the process of forensically tearing into it. So, in the end, the precious air that Scheer and cohorts planned on, evaporated. Next their goal was using a marathon filibuster in the House as a tool to try to overthrow the government and force an immediate election. A budget vote is a confidence vote. In order for the SNC issue to have legs for the Conservatives, the election needs to happen right now. As it is, it’s six long months till the election, the likelihood of SNC holding up as a real election issue is unlikely. Scheer better start chalk boarding a plan B if they want to keep their slight uptick in the polls. 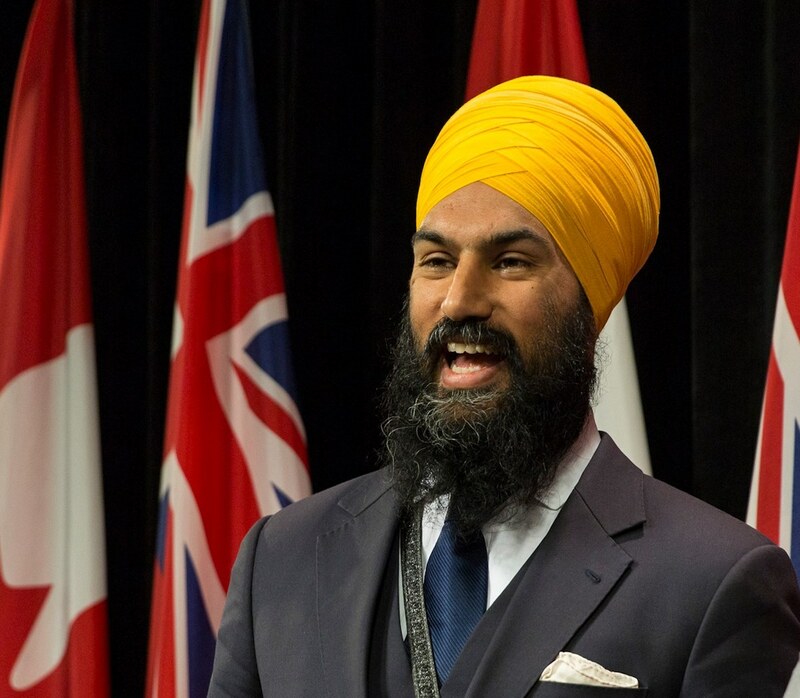 Interestingly, who has reaped are the NDP and Jagmeet Singh. They have been boosted by polls by quite a bit, and Singh has acted appropriately on camera. This is a leader who is being very well briefed. After the budget speech, Singh completely ignored the Conservatives and spoke on platform; daycare, building new housing, millennial vicarious employment and training, Pharmacare, and pension losses to seniors. Beyond that he was not goaded by press into bending off message, other than to say he disapproved of the Conservative behaviour in the House. Even the new guy knows how to distance himself from a train wreck. Like most of us, I don’t vote NDP, but it was impressive how he handled himself. The NDP is on a small upswing, and they ain’t about to start rockin’ the boat. Platform, platform, platform. Do exactly what the Conservatives are not doing. Smart play on their part. In the end, I am not sure if the NDP or its new leader will increase their seat count come the writ; I’m thinking not. I started this column to lay out the actual budget and its main items. But the circus that happened and continues to happen, forced me to do a dive into all these issues. Before anyone thinks I’m on the Liberal side of things, and before you type in comments of snowflake or Trudope or whatever, let it be known that this budget is an outright fail, all on its own. But I will go through that in my next column, my lasagna is getting cold. 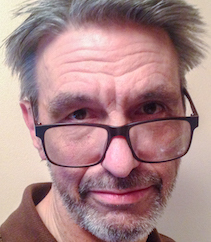 David Johnson is a Kamloops resident, community volunteer and self described maven of all things Canadian. If the eyes are the window of the soul, then it looks like deceit in the eyes of Andrew Sheer, more than his dimpled smile shows. There is no perfect political world, yet the BC NDP and the Green Party are showing how it can be done, showing how colaberating works for an honest democracy. Now that is a true rant, both barrels and lots of buckshot. I look forward to his next column on the budget .